The illustrated herbal is a genre of pharmacological book known in Graeco-Roman antiquity from at least the first century BCE. 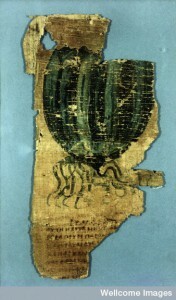 The encyclopaedist Pliny the Elder (Natural History 25.8), for example, mentions a number of writers of herbals who provided pictures of the plants above descriptions of their medicinal effects. 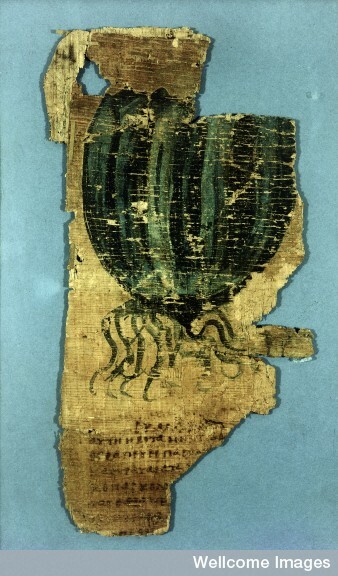 One of the earliest surviving examples of such illustrated herbals, dating to around 400 CE (to judge from its handwriting), is a lavish, papyrus codex leaf with full colour illustrations named ‘the Johnson Papyrus’ (P. Johnson), after John de Monins Johnson who found it in 1904. 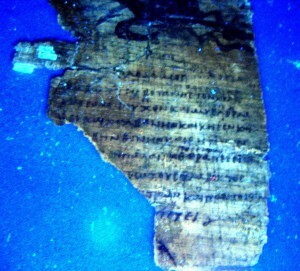 He discovered it in the city of Antinoupolis in Middle Egypt, and it is now held in the Wellcome Library in London. 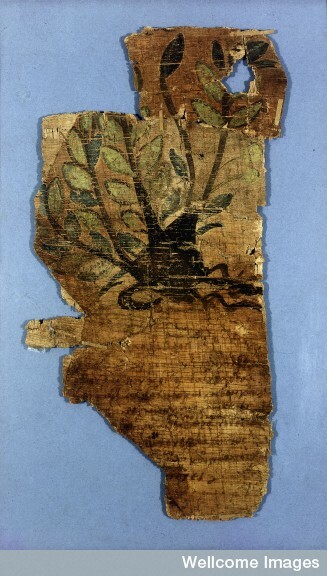 On the papyrus, the paint used to depict the plants remains remarkably vibrant, though the same cannot be said for the captions describing their medicinal applications. This is due to the metal-based ink used, called iron gall ink, which is prone to fading over time, and the poor state of these texts meant that continuous sense has been gleaned from them only recently. However, the ink tends to show up much more clearly under ultraviolet light, as you can hopefully see from the image just below , and we now have a much better idea of the sort of medical information that the herbal contained. Significantly, these plants, Symphyton and Phlomos, and the same therapeutic recommendations are also to be found in a work of astrological medicine which was similarly composed in Egypt. This is a treatise named On the Powers of Plants (De virtutibus herbarum) attributed to ‘Thessalus the philosopher’, whose identity has been the subject of some controversy (in particular, whether or not he is the better known first century CE doctor Thessalus of Tralles – I don’t think he is). This astrological treatise records medical information on 19 separate plants, each associated with either one of the 12 signs of the zodiac, or with one of the 7 ‘wandering stars’ (which is what the Greek ‘planetes’ means) that were known at the time, i.e. the sun, moon, Mercury, Venus, Mars, Jupiter and Saturn. The entries are much longer and more detailed than those preserved on the illustrated herbal, with several different medicinal applications included for each plant, and specific quantities in the compound recipes, as well as notes on the correct dates, given in various calendrical systems, for harvesting the plants to maximise their potency. The surviving manuscripts of this astrological text, however, contain no illustrations of the plants. It is unfortunately unclear precisely what relationship the illustrated herbal had to this astrological work, whether they were both dependent on a common source, or one was the source for the other. It is to be noted, however, that the surviving parts of the papyrus herbal show no trace of the astrological material found in On the Powers of Plants. There is a further piece of information which might be suggestive of some sort of direct relationship. If all 19 plants in the astrological treatise are re-arranged in Greek alphabetical order, it is at least a striking coincidence that the final two plants turn out to be Symphytum and Phlomos, which of course were juxtaposed in the herbal. 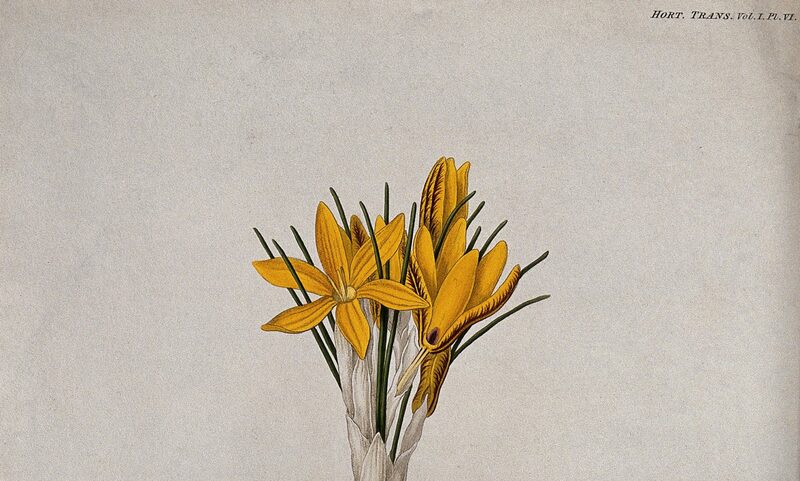 Perhaps the compiler of the illustrated herbal used On the Powers of Plants to create a new, alphabetically arranged and non-astrological text, yet that would not explain where the illustrations came from, which are unlikely to have been painted from life. First edited by C. Singer, ‘The Herbal in Antiquity and its Transmission to Later Ages’, Journal of Hellenic Studies 47 (1927), 1-52 (at 31-33); see also D. Leith, ‘The Antinoopolis Illustrated Herbal (PJohnson + PAntin. 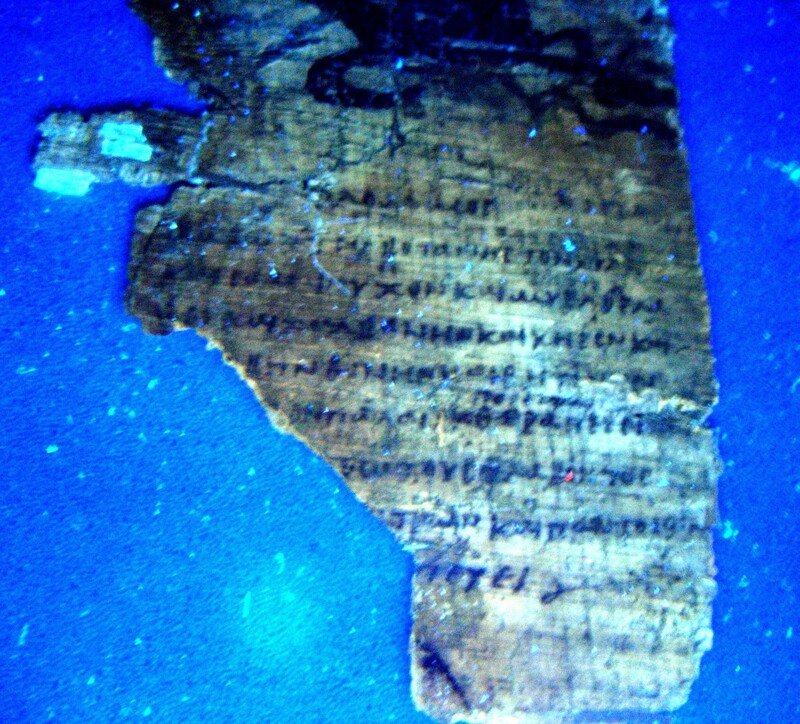 3.214 = MP3 2095’, Zeitschrift für Papyrologie und Epigraphik 156 (2006), 141-156. But were such formal collections necessarily representative? In other words, did everyone (or at least everyone capable of writing remedies down) collect their medical information this way? No. As a great deal of recent work by historians is revealing, the committal of recipes to paper was often a much more haphazard, and far less regimented, process. Firstly, the recording of remedies was an expedient and often pragmatic process. Remedies usually spread firstly by word of mouth, with people passing on their favourite receipts to friends, neighbours and acquaintances. As Adam Fox’s work on early modern oral culture has shown (Oral and Literate Culture in England, 1500-1700 (Oxford: Clarendon, 2000)) people had a strong ability to commit information to memory, and this made sense at a time when the majority of the population couldn’t read or write. Nevertheless, for those wishing to record the remedy accurately for future use, there was a need to do so quickly, and often using whatever was to hand. Nevertheless, the recording of remedies in certain types of document was often a more deliberate decision. In Wales, for example, there were several instances of medical remedies being written on notepaper purloined from a church. In one sense this was pragmatic and reflected the simple availability (and probably abundance) of paper, given the needs of the church to keep records. But some were written inside church documents. In parish registers, for example, it was not uncommon to find receipts. A common example was that of a ‘receipt for the biteinge of a mad dogge”, often originally attributed to the register of Cathorp Church in Lincolnshire, but which seemed to move around the country. An example of the remedy, occurring in the Monmouthshire church of Llantillio Pertholey, can be seen here: http://www.peoplescollectionwales.co.uk/Item/7637-a-recipe-to-cure-the-bite-of-a-mad-dog-llanti. Apologies for cross-posting. This post appeared on my own blog: dralun.wordpress.com (22 August 2012).